Every day is a new adventure! Whether a twirling fairy princess or a frolicking frog on her lily pads, our Renaissance Artist is taught to dance through her natural need for creative play. 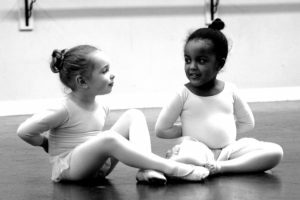 Our teachers masterfully engage each child and inspire freedom of movement through storytelling as well as using rhythm and music to establish and heighten brain development and motor skills. Studies have proven that introducing movement and music early into the life of a child creates smarter, more balanced, and more joyful children. We don’t need a study to show us what we can easily see in each and every class! Shhh! They’re just having fun!! As a part of the SAA family you and your budding artist will find a support system and develop friendships that will be a significant part of your child’s growing up years. We value this time we have with these children and understand the significant role we play. Historically the Renaissance time period inspired a new confidence in the possibilities of human thought and creations. Our Renaissance Artist gains new confidence, and by fostering her creativity – anything is possible!